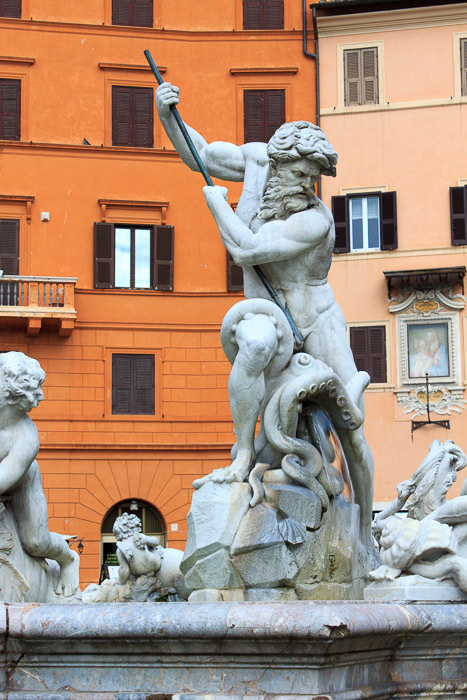 The Fountain of Neptune is at the northern end of Piazza Navona, not to be confused with the similarly named Neptune Fountain in Piazza del Popolo. Giacomo Della Porta designed the basin part of the fountain, without the sculptures, in 1574 when he designed the Moor Fountain at the other end of the square. 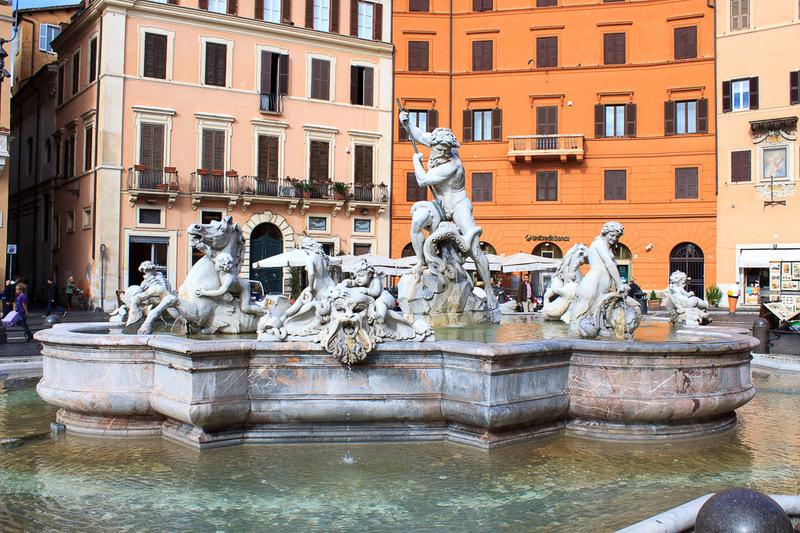 At that time, this fountain was named the Fontana dei Calderari because blacksmith's workshops were located nearby. The lower part of the basin consists of white marble and the upper part is made of local stone from Pietrasanta. For the first 300 years, the fountain had no statues. 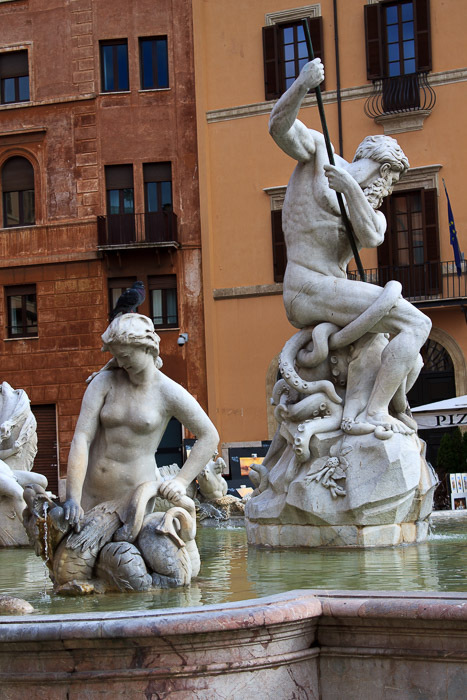 In 1873 a competition was held to add statues to the fountain to balance the other statues in Piazza Navona: the Moor Fountain and the Fountain of the Four Rivers. 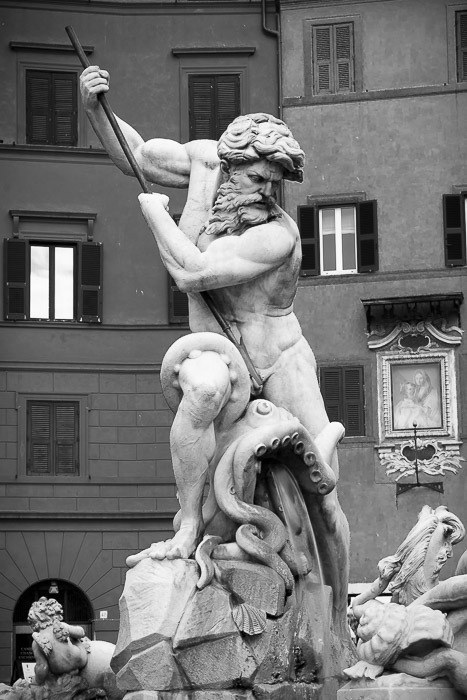 In 1878, Antonio della Bitta added the central sculpture of Neptune, the Roman God of the Sea, fighting an octopus, and Gregorio Zappala created the other sculptures of two sea horses, two cherubs, two dolphins and two mermaids. That central sculpture of Neptune balances the central sculpture of the Moor Fountain in which an Ethiopian wrestles a dolphin. 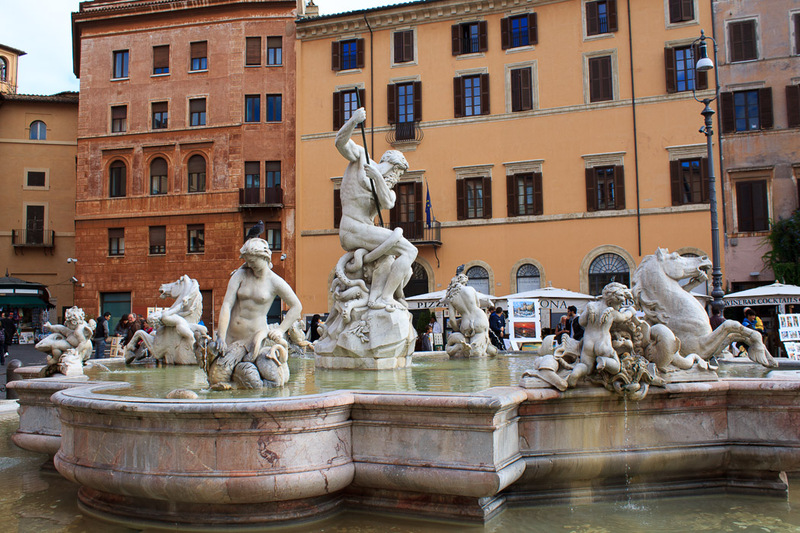 See all Fountain of Neptune photos.